A symbol of love, grace and redemption. A symbol hope and a future. Today I want to share with you 7 beautiful, unique historical crosses, each with a name spoken as Jesus our Savior. These crosses, from Ever Thine Home, hold precious names of our Lord; Messiah, Redeemer, Chief Cornerstone, Great High Priest, Mediator, Lamb of God, Anointed One. 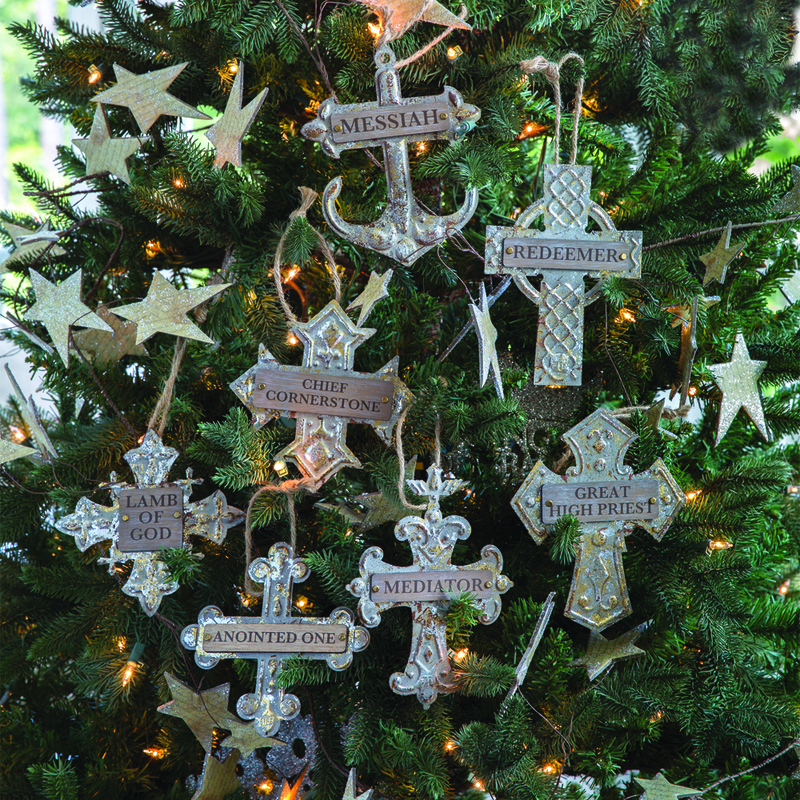 Each cross has rustic twine to make it easy to hang on your Christmas tree. But these are not just for a Christmas tree or for Christmas time. 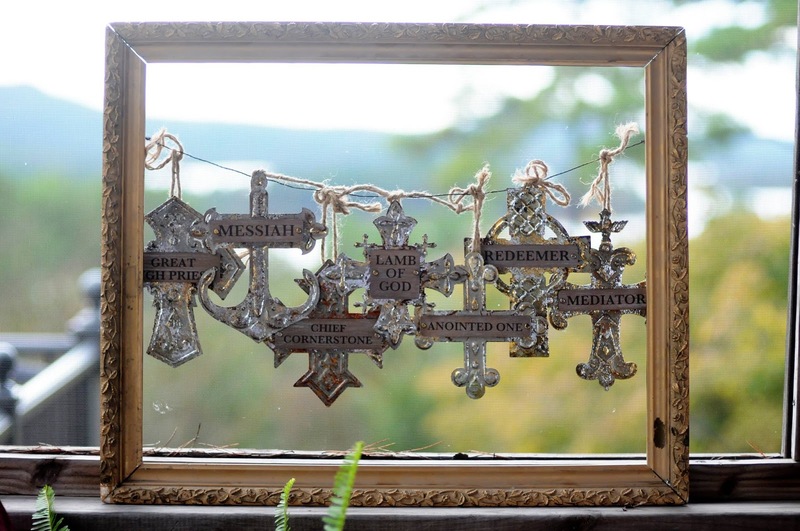 These crosses make a beautiful decoration with an important meaning in your home all year long. These Adornment - His Savior Name Set comes with a 32 page read aloud book, by Barbara Rainey, for your family to study each name. Ever Thine Home is a ministry of Family Life by Dennis and Barbara Rainey, that seeks to help women use their home to honor God. Every woman's home is an expression of who she is -- her values, her faith, her relationships. She naturally gathers family and friends to celebrate holidays and special occasions. But in the busyness of life it is sometimes difficult ot know how to focus on gratitude at Thanksgiving, honor Christ at Christmas or celebrate the hope of Easter in meaningful ways. At Ever Thine Home, they strive to help you add that which lasts forever in your home and family all year long. To enter to win the Adornment - His Savior Name Set, complete each task in the rafflecopter below. I love the "we stilled" plaque! The "we still do" plaque, rather!! Such beautiful things! I really like the "We still do plaque" as well! I love all the things from Ever Thine Home! I really love the Adorenaments Collection! They would be so perfect for our Jesus Tree. I absolutely LOVE the His Name Among the Nations decorations. They are beautiful. "The Lord is my strength and shield " door plaque. Everything is so lovely but that is my favorite. I love His Royal Names and Names among the Nations. I liked the Christmas star tree topper. I think my favorite was the "His Christmas Names" Adorenaments Set. "Adornment-His Savior Name Set" is my favorite! Thank you for this opportunity to enter and a possibility to behold and be blessed by them!! Congratulations to the winner in advance, and Merry Christmas to you, your family and to all who read this comment!! Beautiful ornaments - thanks for the giveaway!